Stockholm is getting ready for the Olympics, when there is a bombing in one of the main stadiums, killing one person. The public wants to know if this was a targeted attack or whether it was terrorism. Annika heads up the crime desk at a local newspaper and wants to get to the bottom of who did this and why. She's a female in a male-dominated industry and feels not only the pressure of leading a team of men, but also the difficulties of balancing work and home life. However she has great instincts as a journalist and hunts down some leads before any other journalists do. This is an interesting mystery/thriller from the journalist's perspective rather than the detective's. And it's set in Sweden, which few mystery books that I read are set in. It makes for an interesting change of pace. I liked Annika's struggles over being a female not respected by her male peers and her work life balance. However it did get to a point where I thought the author started to overplay it and was really beating our heads with this fact. I would have appreciated it more if it was a bit more subtle. I felt a little disappointed with the ending. It was a bit predictable and definitely over dramatic. First Line: "The woman who was about to die stepped warily out of the doorway and quickly glanced about her." 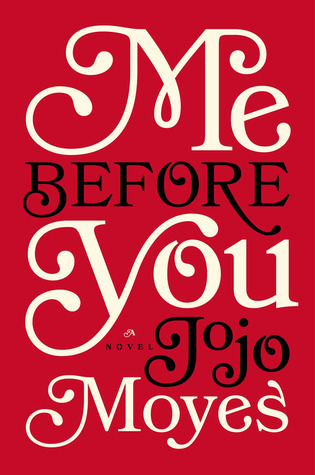 Mattie Cook is a teenager in Philadelphia when yellow fever strikes the city. Her mom forces Mattie to leave the family coffee shop and head to the countryside with her grandfather to try and save her from getting sick. Mattie is sad to leave her mom and the coffee shop, which she has dreams for when she could possibly run it herself. Unfortunately Mattie still gets sick, but manages to pull through and survive. The two return to the city and find it completely changed. None of the markets are opened, people are scared to leave their homes, and robbers roam the city looking to make money off the tragedy. This book is for young adults and reads as such. I enjoyed the character Mattie. She was probably a bit more level headed than I would expect a 14 year old to be in these circumstances. The only thing that I felt was missing was that this didn't feel like it was 1793. It felt like the story could have been told in 2016 and nothing in the book would need to change. Maybe this is the point, to show people this could happen today, but I would have liked a bit more of a historical setting. First Line: "I woke to the sound of a mosquito whining in my left ear and my mother screeching in the right." Helen is a recovering alcoholic, having lost custody of her son after he suffered from appendicitis and needed to be taken to the hospital, which Helen did while she was drunk. She only gets to see her son for a few hours on the weekend, and given that she's not a very sociable person Helen doesn't have much of a life outside of those hours until she meets Ava and Swift Havilland. The two are wealthy entrepreneurs and take an interest in Helen and her son. The Havilland's welcome Helen in to their life, and put her to work asking for her help. Eventually, they get Helen set up on a dating site and it seems like they're mostly just interested in the entertaining stories rather than trying to find Helen someone she will like. Helen does find someone, a boring accountant, but a man who is incredibly kind and caring. The Havilland's don't take well to him and Helen begins to question her choice while Elliot is questioning Helen's choice of friends. Eventually these relationships come to a head, with an accident where Helen's son is involved. This book has a feeling of dread attached to it through the entire reading. You know something bad is going to happen and you're really just waiting for the shoe to drop. This made for a compelling read for me, wondering what was going to happen. It's a good thing that by the time I got the book, I had forgotten the description of the book though because the book description pretty much tells you the story of the entire novel. There's a weird element to this book where Ava and Swift continuously make suggestive remarks to each other around others. It doesn't really add much to the book, aside from making me dislike the two characters after they've done it so many times it gets old. I'm not sure what the point was for this to be in the novel, as it was completely fake. For the ending, the climax of the book was interesting but felt crammed in to the last little bit of the book. There were also a lot of unanswered questions for me. If the pacing of this book was a bit better, I think I would have enjoyed it more. Thanks to TLC Book Tours for letting me be a part of this tour. You can find out more about the book and purchase it here. First Line: "It was late November, and for a week solid the rain hadn't let up." 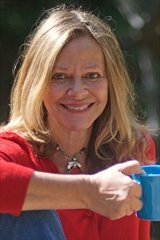 Joyce Maynard is the author of eight previous novels, including To Die For, Labor Day, The Good Daughters, and four books of nonfiction. Her bestselling memoir, At Home in the World, has been translated into sixteen languages. She lives in California. Find her on Facebook or at her website. Nate and his crew work out of Hawaii, studying whales and trying to figure out why they sing. While out studying, he notices some odd markings on the tale of one whale. When the whale surfaces again, he notices that it says 'bite me'. From there, things get weirder and weirder as Nate gets closer to breaking the mystery. Moore is known for his humor novels. Sometimes they can be a bit odd, but Moore takes this one way beyond odd. I didn't find it overly humorous and it was too over the top to enjoy. By the end of the novel, I was skimming it to get to the end. Despite the overall weirdness, there is a good message to preserve our sea and the creatures within it. First Line: "Amy called the whale punkin." When the restaurant that Louisa has been working at for the past 6 years shuts down, she knows she needs to find a job soon. Her dad thinks he is going to be laid off at any time, her mom is taking care of her grandfather who had a stroke, and her sister wants to go back to school but can't because of her young son. The family needs Louisa's income. She finds a job listing to be a companion for a quadriplegic. She would be responsible for basic care and basic cleaning, but also spending time with this man Will. Lou isn't sure she can do it, but she has no choice and goes for the interview, getting the job. The two don't hit it off right away. Will is used to pushing people away and Lou is a bit eccentric. Eventually they come to an understanding, when Louisa learns a secret the family has kept from her. She doesn't want to be a part of it, but enjoys Will's company and wants to show him how he can still live a somewhat normal life. The shining light in this book isn't the plot, though it's good, so much as it's the characters. Lou is quirky. She is annoyed with her sister, complacent with her boyfriend, but just trying to do right by her family. She's a very realistic portrayal and one you can get behind very easily. Will, though being slightly acerbic, you can understand why he is this way and you see the glimmers of wit and intelligence behind his facade. The two make a great combination for this story. The plot is slightly predictable, you know what's coming, but the journey to get there is memorable and worth while. I really enjoyed this book. However after reading reviews of the second book in the series, I think I'll stay away from that one. Detective Harry Bosch has had a slow couple of weeks. He ends up getting the case of a murder in a liquor store at what seems to be a robbery at first. He brings his partner, who has been half-assing the job, and sets to bringing justice to the family. After looking at the security tapes, Bosch begins to think that this could be a gang issue. As he investigates the triads, his daughter is kidnapped in Hong Kong. Bosch stops everything to fly to Hong Kong and find his daughter. Are the two related? This book is a bit of a change in pace from regular books in the Bosch series. Since Bosch is looking for his kidnapped daughter, he's taken out of the usual search for clues on a murder and the story has a much more personal note. Yet I still felt like the two stories didn't quite flow together that well. I enjoy all Bosch books, but this wasn't my favourite. First Line: "From across the aisle Harry Bosch looked into his partner's cubicle and watched him conduct his daily ritual of straightening the corners on his stacks of files, clearing the paperwork from the center of his desk and finally placing his rinsed-out coffee cup in a desk drawer." Chiyo is taken away from her family in a fishing village of Japan and sold to become a geisha in Kyoto. She has very unique eyes which sparks interest from men and jealousy from women. The current geisha of her household does not take well to Chiyo and does what she can to ensure Chiyo doesn't become a geisha. In Chiyo's despair, she happens upon a man of high standing that treats her well and gives her a handkerchief to wipe her tears. Chiyo decides she must become a geisha to find this man again. A rival house offers to train Chiyo and she becomes Sayuri and a very well known geisha. This book offers some insight in to a world I knew nothing about and it uses very engaging characters to do so. You can instantly connect with Chiyo and how scared she is being sold to a completely different world. The bad characters are interesting as well and you can hate them pretty easily. The characters I didn't completely understand were the men. Why do men pay extravagant amounts of money to have someone pour them sake and tea? Maybe it's because I'm not a man that I don't understand it. I don't usually enjoy books with flowery descriptions of things, which this book has, but here I thought they were rather lyrical and didn't mind them. If you're looking for a book to get lost in another world, this is a great one. First Line: "Suppose that you and I were sitting in a quiet room overlooking a garden, chatting and sipping at our cups of green tea while we talked about something that had happened a long while ago and I said to you, 'That afternoon when I met so-and-so... was the very best afternoon of my life, and also the very worst afternoon.'" Victoria Woodhull was the first female to run for President of the US, back in 1872. She came from a poor family and abusive childhood where her father forced her to work at a young age and her mother was an alcoholic. Trying to get herself out of the situation, she married only to find her husband also abusive. Her spirits tell her she's destined for great things so she bears this marriage until she can divorce her husband and move on. Eventually she pulls her sister away from her parents and the two move to New York to act as spiritual guides for the rich in New York. One of their clients is Cornelius Vanderbilt. Using Vanderbilt's connections, Victoria and her sister Tennie open up a brokerage in New York, becoming the first females on Wall Street. The two become incredibly rich and the family returns to try and beg for scraps. But Victoria is destined for even more. She believes in the rights for women to vote, and the right for couples to divorce if they no longer love each other. She wants to become president of the USA to bring these rights to the American people. I'd never heard of Victoria Woodhull before. Susan B Anthony, yes, who is more famous for the women's right movement (and she was made to sound like quite a mean woman). 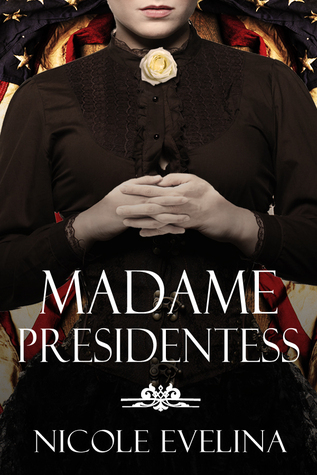 But Victoria Woodhull was an important part of this movement, specifically with her try at the American Presidency. Her story is a fascinating one. She could commune with the spirits, made huge in-roads for the women's movement, and was ultimately destroyed by vanity and gossip. Now for a bit of honesty. It wasn't until about half way through that I realized Victoria Woodhull was a real person. This reads like a completely fictional novel. I think this is because it feels like everything is over the top and very much dramatized. This treatment of the story got me really engaged. I was looking up Victoria Woodhull when I finished the book and if I didn't enjoy the novel I wouldn't be doing that! Thank you to TLC Book Tours for letting me be a part of this tour! First Line: "By the time I was three, I head learned to fear the dark - that was when Pa came home smelling of sharp, unpleasant odors and vented his day's worth of rage on us." 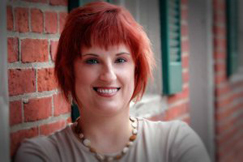 Nicole Evelina is a multi-award-winning historical fiction and romantic comedy writer. She spent 15 years researching Arthurian legend, Celtic Britain and the various peoples, cultures and religious practices that shaped the country after the withdrawal of Rome. Other historical interests include the Middle Ages and women who made their mark on history. And she LOVES Chicago. Find her on Twitter, Facebook and at her website. Queen Victoria ascended to the throne of England at the young age of 18. Despite having powerful female rulers in the past, it seemed that England still wasn't used to one and wanted Victoria to marry as soon as possible to have a husband help her with policy-making. 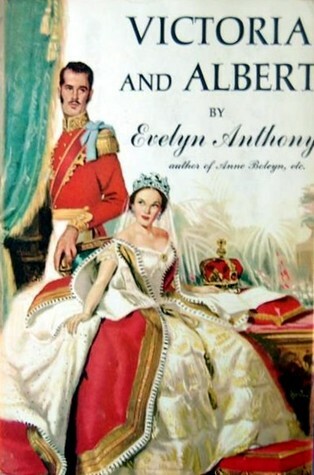 Victoria doesn't seem all that interested in marriage and having a man to rule over her until she meets her cousin Albert. He's incredibly handsome and Victoria falls in love with him right away. The two set to marry. Victoria is very happy. She has Albert by her side and she is very friendly with the English Prime Minister. However Albert doesn't enjoy his new lifestyle all that much. Albert doesn't love Victoria but realizes its his duty to be a good husband. He feels worthless with the very little that Victoria allows him to do. This is the story of their marriage from when they meet until when one of them passes away. I haven't read much on Queen Victoria in the past so I don't know much about her. This book portrayed her as rather rigid but also completely tunnel visioned about her friends. There is no grey with Victoria. It's all either white or black. She loves someone or she hates them. It's tough to see how someone could rule a nation with that kind of mentality. This is an interesting look in to Victoria's early reign and her relationship with Albert, though it was a bit slow at times. First Line: "A footman has opened the shutters on two of the long windows in the Green Drawing Room at Kensington Palace, and a pale predawn light spread through the room." Elena is the only female werewolf, which makes her a hot commodity. She is cornered by a couple of witches that want her help. There have been kidnappings of people with paranormal abilities. They need to come together and find out what to do about it. This includes witches, half-demons, vampires, and of course Elena's pack of werewolves. When Elena is kidnapped, she realizes a narcissistic punk is at the centre of this and must do what she can to escape and help her fellow inmates. This is the second book in the series of 13, so far. You probably don't need to read the first to understand what is going on in the second, but having the background on Elena, how werewolves are created, and how the pack works definitely helps. Plus it's a great book, so check it out. I'm not usually in to fantasy. I only dip into the genre every so often. These books are super easy to get in to and they are page turners. Elena is a likable, strong character. She's only irritating in her love life but those irritants didn't come through as much in this novel as the previous one. I'm not sure I want to commit to another 11 books for this series but if I do happen across the third in the series, I'll probably read it. First Line: "He hated the forest."